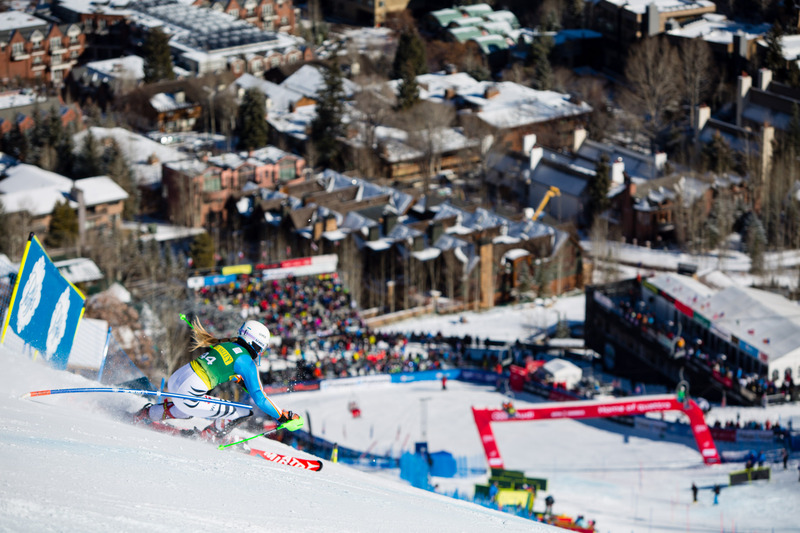 Aspen, CO – Saturday was a historic day at the Nature Valley Aspen Winternational, as Colorado’s Mikaela Shiffrin overcame her giant slalom disappointment from Friday and dominated her World Cup competitors by over three seconds to take the first American slalom win at Aspen since 1981. 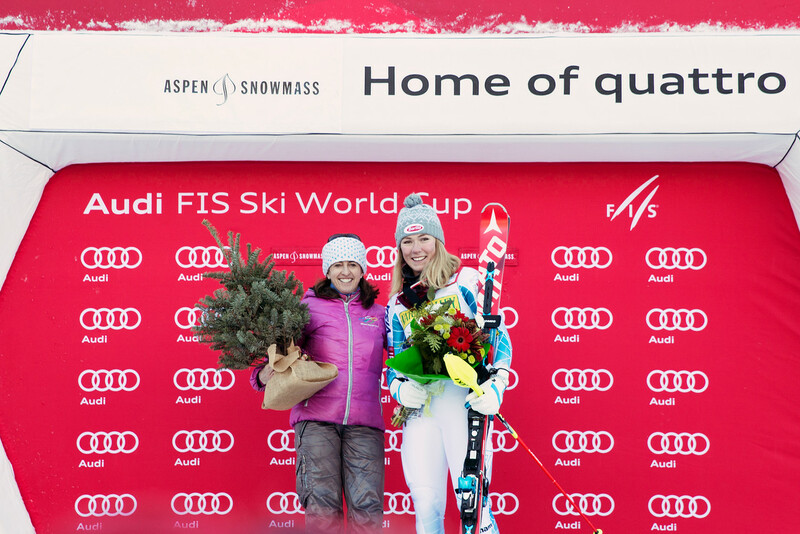 It had been a high and dry 34 years, with no American standing on top of the Audi FIS Ski World Cup podium at Aspen since Tamara McKinney won in 1981. And Shiffrin didn’t just break the record; she annihilated it, winning the race by 3.07 seconds. That margin broke yet another record—it was the largest women’s slalom win margin since 1968. Shiffrin finished ahead of Veronika Velez Zuzulova of Slovakia and Frida Hansdotter of Sweden. “I really charged! 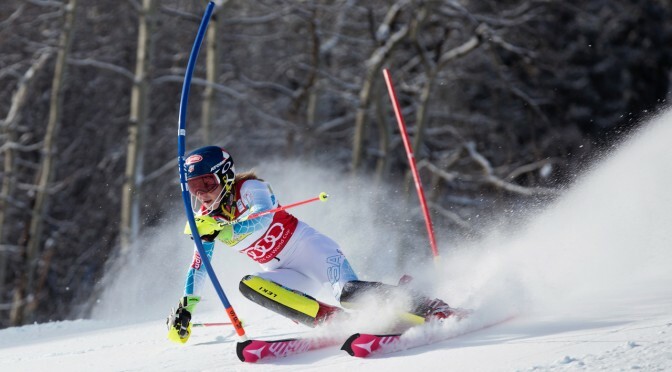 I fought hard in the second run,” said Shiffrin, who crashed two gates from the finish in Friday’s GS to give up the win in that race. “[Yesterday] was a big disappointment, so I had some anger. I took that into today. Resi Stiegler, of Jackson, Wyo., was the only other American to make the flip, taking 15th place. It was her first race back after her knee injury. Lake Tahoe’s Lila Lapanja — who was racing her first World Cup —and Paula Moltzan of Minnesota did not finish first run. 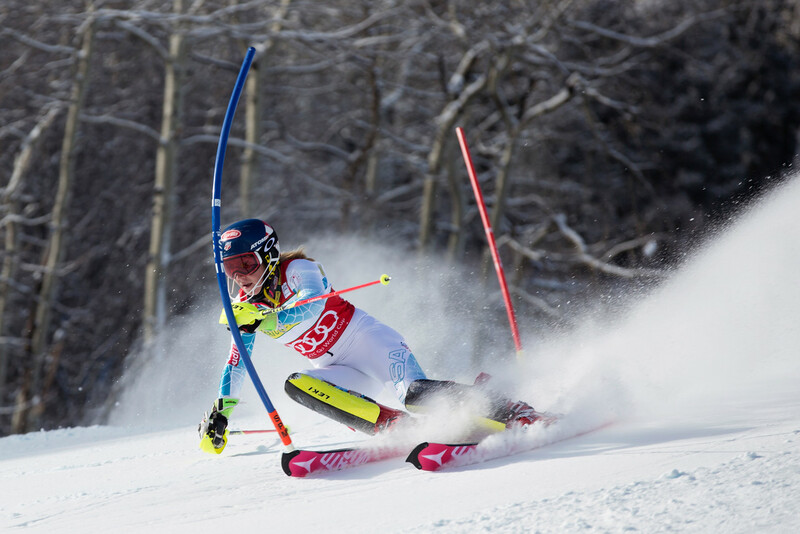 Shiffrin and her teammates will race slalom again on Sunday before she heads to Lake Louise for the super G. The race will air live in NBC at 3 p.m. ET. Rank Nation Name Run 1 Run 2 Total Diff.